The barbershop is where a black man can let his hair down, in more ways than one. It is an essential part of every black man’s life. The common philosophy that, “What happens in the shop stays in the shop”, is an unspoken code you abide by. From conversations that range anywhere from sports, politics, women, family, and community life, the barbershop is a cultural hub necessary in the growth and development of the black man. The Social Club Grooming Company founder and owner Sebastian Jackson took the regular visit to the barbershop and marketed it in 2013 into a concept he titled “Shop Talk.” It is a series of intimate discussions in The Social Club Grooming’s flagship barbershop, inviting local and global leaders to get a haircut, while candidly sharing their stories, good and bad, as well as their life lessons learned along the way. It quickly became an outlet for leaders to share unfiltered truths and an educational platform for local communities to have access to engage face to face conversations with leaders. Now, Jackson and his business partner and wife, Gabrielle Jackson, are cutting a deal with the NFL to take their popular Shop Talk community forum to Super Bowl LIII weekend in Atlanta February 3. The partnership was formed not only to expand The Social Club Grooming Co. brand, by tapping into the sports sector, but to tackle important conversations and topics, giving players the opportunity to express their opinions of the league and ways their voices can create change. Jackson said the deal came about thanks to a relationship he cultivated with University of Pennsylvania Wharton professor Mori Taheripour, who is also an NFL consultant. She introduced him to Arthur McAfee, senior vice president of player engagement for the NFL. The event will be moderated by Super Bowl XLV champion and former Green Bay Packers wide receiver ​Greg Jennings​, with insight from former player Troy Vincent, now E​xecutive Vice President of Football Operations for the NFL, as well as two surprise players aiming to tackle topics on social justice, life during and after football, and more. Jackson and Jennings both attended Kalamazoo Central High School. The Super Bowl Shop Talk is invite-only, for all participating players, coaches, and staff, but could be open to the public down the line. Jackson said making the event private will allow for the players to be more transparent without any cameras, media, or outsiders in the room. “Shop Talk provides players and legends an opportunity to connect in an engaging environment to share opinions on sports, entertainment, music, business, politics, culture and all things of interest to the player community,” McAfee said. There are hundreds of barbershops in the city of Detroit. But none of them are quite like The Social Club Grooming Co. You do not go there for just a haircut. You go there for an experience. Jackson started cutting hair out of his parents’ garage at the age of 15, using the trade as a side hustle to make money in high school and college. He first knew he wanted to open a barbershop in Detroit during his sophomore year of college and he wanted it located on the campus of Wayne State University. After a couple of years of rejection, Jackson finally opened The Social Club Grooming Company’s flagship shop on the campus of his alma mater in 2012. His wife then quit her job to join the business, taking it to the next level. In most barbershops, you can just walk in. Sometimes you may have to sit awhile in order to receive service and that service may not be the most professional. The Jacksons wanted to alleviate those issues and others, elevating the experience of going to the barbershop. At The Social Club Grooming Co., their barbers come from all different types of backgrounds and can cut all textures of hair. Jackson said, without his wife’s touch on their business, there would be no barbershop. 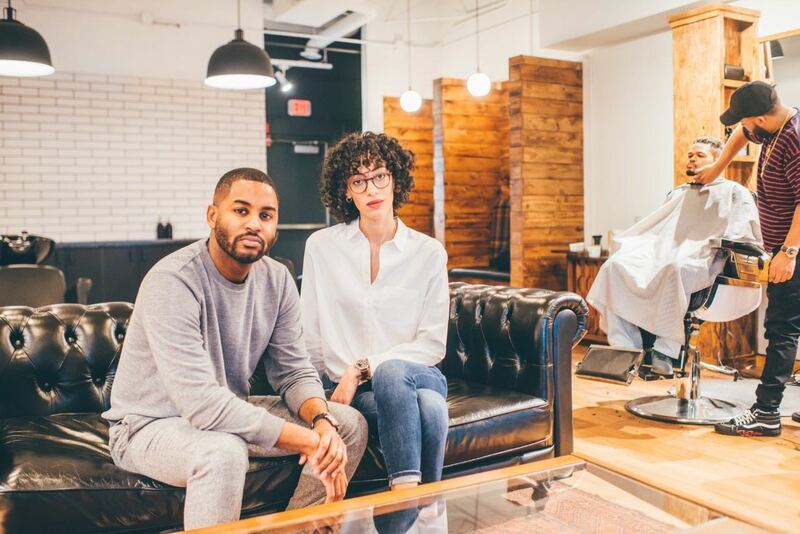 The Social Club Grooming Co. has two Detroit locations. One in Midtown at 5272 Anthony Wayne Drive and a smaller location downtown at 1515 Broadway.